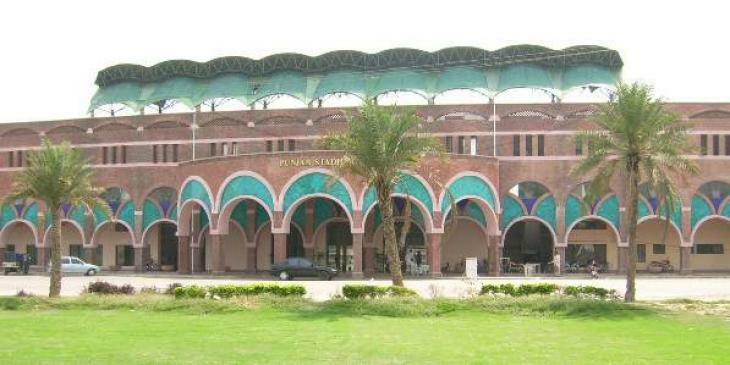 LAHORE, (UrduPoint / Pakistan Point News - APP - 17th Apr, 2019 ) :Lahore and Faisalabad division cricket teams cruised into final of SBP Annual sports Calendar second phase girls' cricket event on the basis of their better position in points table here on Wednesday. The organizing committee sent the table toppers into the final after Wednesday's three washed out matches. Lahore girls won two matches out of three and topped the points table with five points in Pool A. On the other hand, Faisalabad girls grabbed the top position in Pool B with seven points because they emerged triumphant in three encounters out of four. Bahawalpur and Sahiwal girls teams finished second and third respectively with three points each in Pool A while Multan and Sargodha divisions got second and third positions respectively in Pool B with five points each. Director General Sports Punjab Nadeem Sarwar appreciated the thrilling competitions of Annual Sports Calendar. "All the participating players are exhibiting their best performances in the exciting competitions of Annual Sports Calendar. Sports board Punjab will continue to provide suitable opportunities to young talented male and female players of the province to express their potential in future," he added. Sahiwal and Dera Ghazi Khan division kabaddi teams registered contrasting victories in Annual Sports Calendar second phase kabaddi event at Punjab Stadium on late Tuesday night. According to details, DG Khan edged out Multan by a narrow margin of solitary point in a crucial match of the event. Both the teams offered excellent performance but DG Khan under-16 kabaddi players managed to accumulate 31 points whereas Multan had to content with the figure of 30 points. On the other hand, Sahiwal toppled Multan by a wide margin of 52 points. Sahiwal dominated the match right from the beginning and scored 61 points in comparison to Multan's 9 points. In another match, Sargodha division defeated Gujranwala by 21 points. Sargodha scored 38 points while their opponents Gujranwala managed only 17 points. Faisalabad also tasted victory against Bahawalpur by 37-23. The match between Sahiwal and Bahawalpur was declared as tied contest. Both the teams scored 32 points each and were awarded one point each. Lahore and Gujranwala division teams were awarded walk-over against Rawalpindi division team due to their absence from the event.